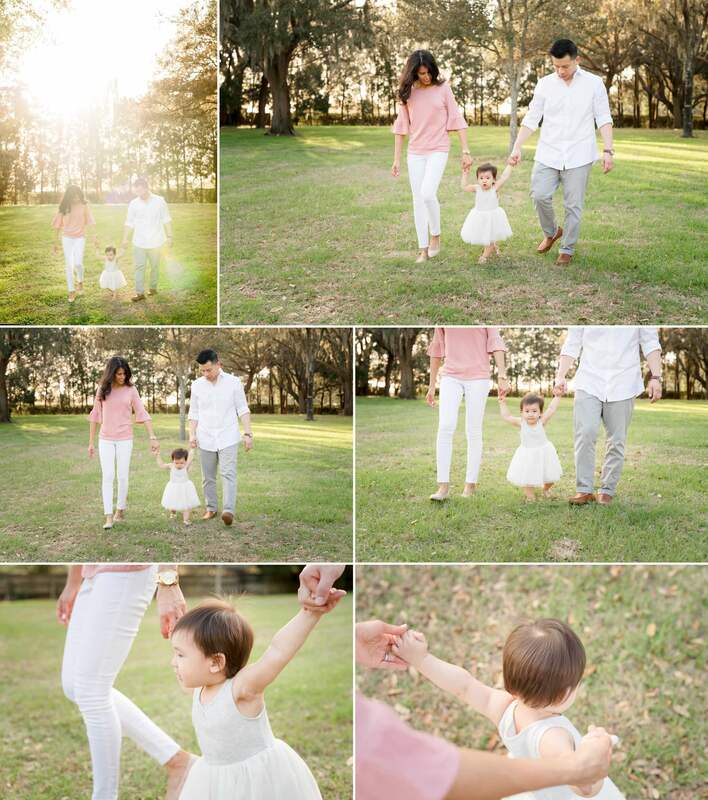 It was such a treasure to photograph your sweet girl’s first birthday and her (almost) first steps. 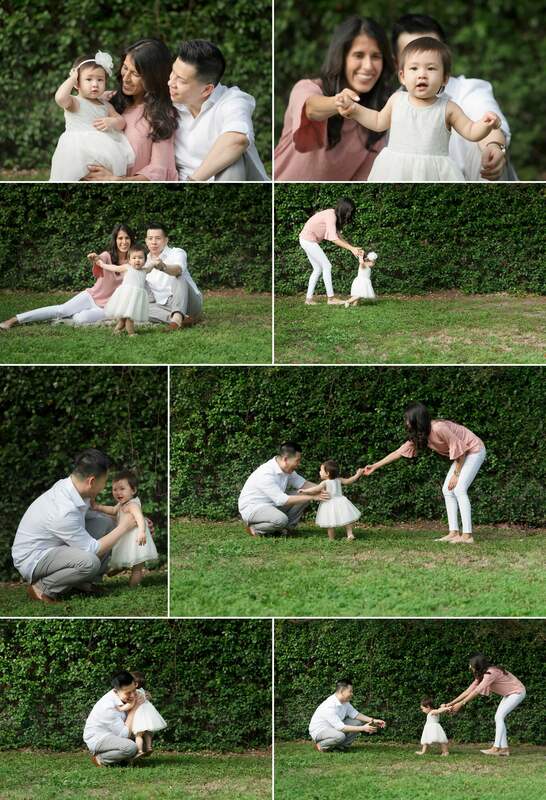 I absolutely love when I know that images will be treasured forever- I can tell from your genuine and natural smiles that we captured the love and fun that is in your household. 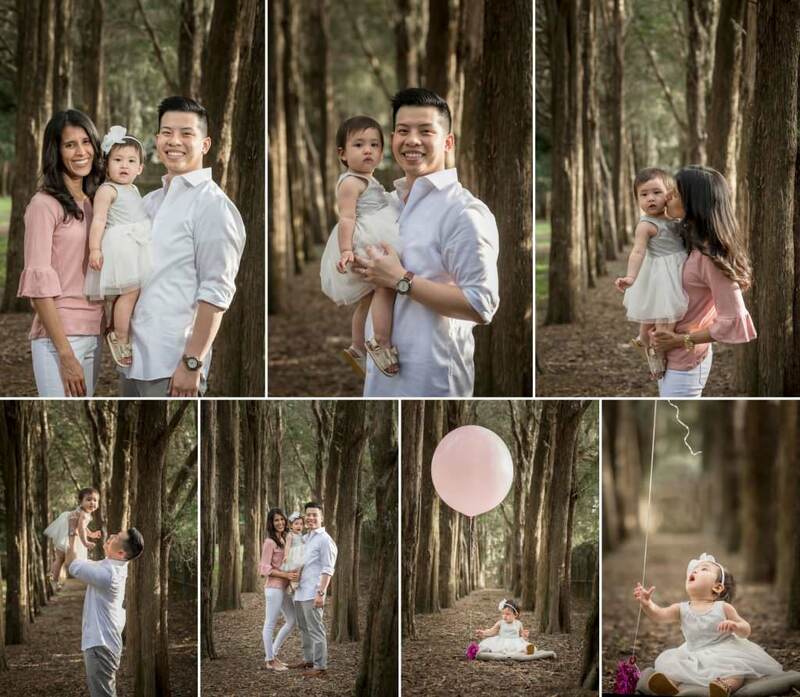 I adore the finishing touches that you brought to our session- the adorable tutu dress and the pink balloon were perfect for the dark greenery of our Lutz location. I love shooting there, because although it is quiet and understated of a shooting location, it is also stunning and really special. I love that you trusted me and that we created such beautiful portraits and I am so happy that you will have them forever. 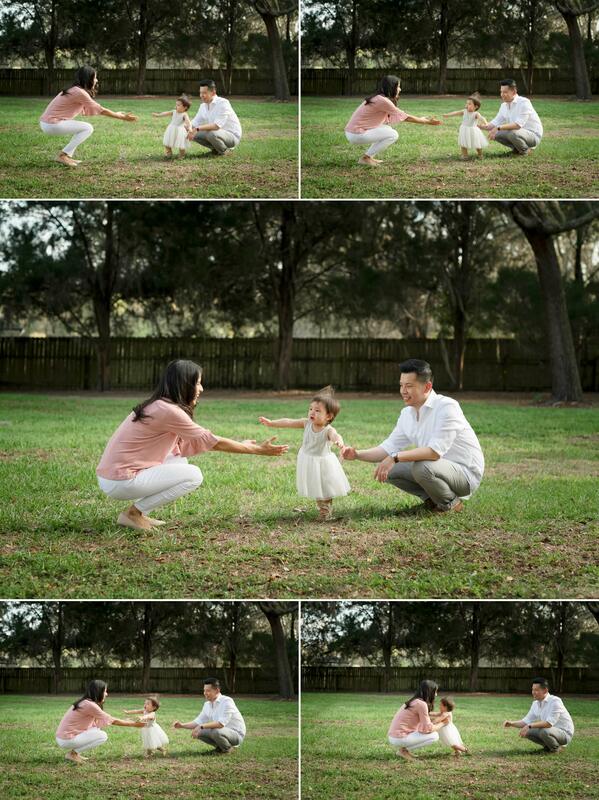 You can see the excitement on her parents face as we captured some of her first steps. As a photographer that only happens once in a while- when it does, I am beyond excited to REALLY have captured a once in a lifetime event. It is priceless. Shooting at sunset is my favorite time to shoot outdoors, the light is so creamy and dreamy and we get such beautiful golden tones. This tree line is my favorite at this location- it filters the light beautifully, and frames families wonderfully- making them the focus. This is a spot that only I can shoot at, so make sure to let me know if you are interested in a session in this Lutz/New Tampa secret spot! Alison Winterroth Photography is a natural newborn, maternity and family photographer with a studio in the New Tampa/ Wesley Chapel Lutz area. Her goal is to photograph families clean and simply- with a focus on connection and love. You can contact her at info@alisonwinterroth.com or by clicking the button below.